On Mothers Day I gave my mother the perfect gift, as I had ordered it from the kind gods of the Universe. She got sunshine, an outdoor flea market, great finds and a nice day spent with her favorite daughter. What more could a mom wish for? Later in the day we had way to much cake at first my maternal and then my paternal grandmothers respectively. Mothers Day is later in Sweden than in the US. 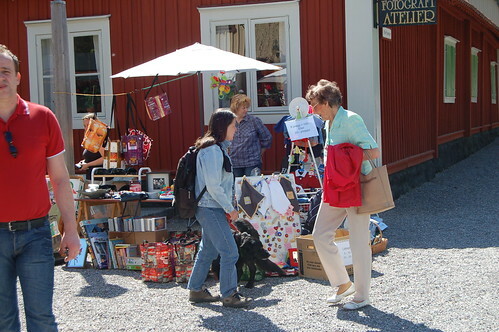 The flea market was at my favorite outdoor museum, with old houses, a farm with animals and other museums. It’s not the kind of lamp you stumble upon every day right? I have never seen anything like it in real life, at least not for sale! Thought it was 450 SEK I might have bought it if I had a room to put it in. Imagine it with new bright paint? Kitchy as hell, yes, but oh how special and not like anything from IKEA at all! 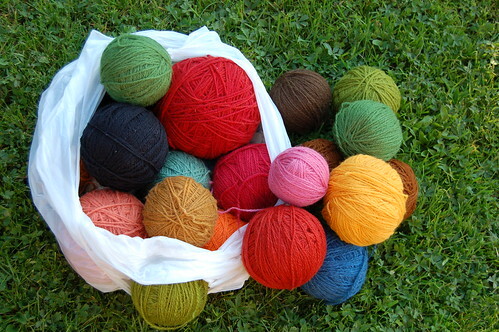 120 SEK worth of beautifully colored 100 % pure wool yarn from Klippan, Bergå in Sweden. 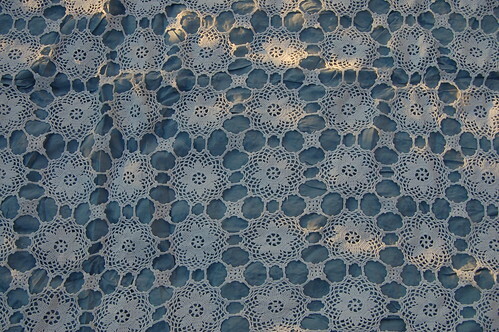 A crocheted bedspread in white with a blue fabric sewn on as lining. I just couldn’t let it lay there, unloved. Imagine the work and love that went into making this? Incredible amount, that’s what I think. More photos of it here. Oh well, I’ll just go to sleep now and keep on dreaming. Goodnight to you, where ever you are. 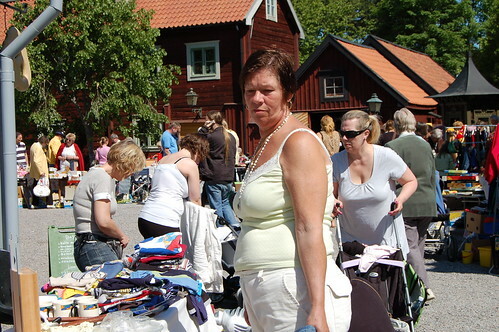 This entry was posted in Life Stuff and tagged flea market, mom, thrifted finds. Bookmark the permalink. That looked like a great Mother’s Day. How I wish I could join you, this sounds great! Mother’s Day in Poland is later, too, on 26th May. Oh, Hanna this looks so fun! 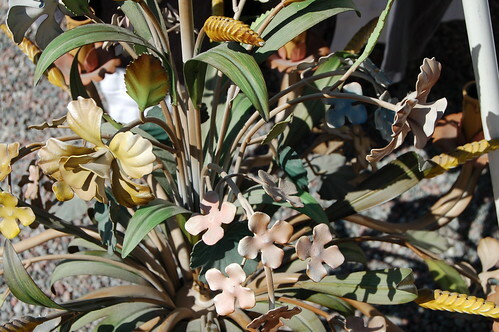 If my kid took me to a flea market on mother’s day, I’d be a happy camper! I love your wool yarn. Perfect for pompom making. I don’t know how much a SEK is in US dollars but it looks like a great find! 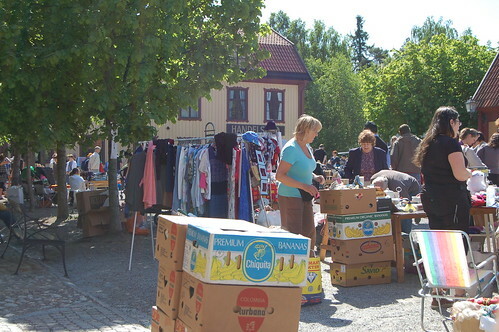 That flea market looks so wonderful! I could spend days digging through treasure after treasure…and the lamp is awesome. 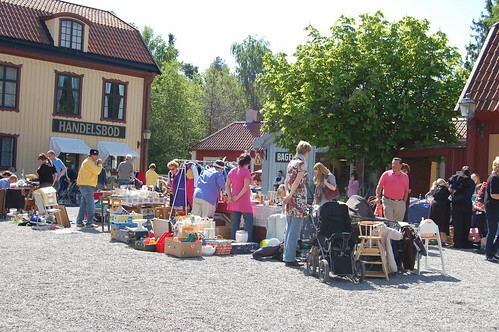 That Flea Market looks delightful! I thought it was cute to see that a Flea Market half way around the world would have the same banana boxes as one here in Canada would! Love the lamp! If it were me I would have bought it anyways and threw out something else to make room for it! Thanks for sharing your Mother’s Day with us!